New Jersey was one of the most successful crusaders to ending PASPA’s ban on sports betting and in 2018 the law which prohibited single-game sports wagering outside of Nevada was rescinded. New Jersey has a rich history with gambling that dates to Prohibition Era America, where gambling was explicitly forbidden yet gaming hubs such as Atlantic City could thrive due to mob influence and money. Today, NJ hosts some of the nation’s largest casino gambling venues comparable to Las Vegas and with some of the most relaxed US state gambling laws, the Garden State is able to offer the same access to gambling entertainment as Nevada. New Jersey must now increase enforcement of its gambling laws with a heavier hand amid expanded gambling options. As stated on our New Jersey state page, access to bingo, lotteries, greyhound race betting, horse race betting, and online bingo requires individuals to be at least eighteen years old. Individuals who are at least twenty-one may access poker rooms, Atlantic City casinos, and online casinos and poker. However, with PASPA thrown out, NJ can now offer sports betting at physical Atlantic City casinos, NJ racetracks, and online and through mobile. Of course, all sports betting, whether wagers are made digitally or physically, must be made by a bettor who is at least 21. These minimum age restrictions are provided by the NJ Casino Control Act to protect young gamblers from premature exposure to high-frequency gambling which can harm them financially, mentally, and psychologically. 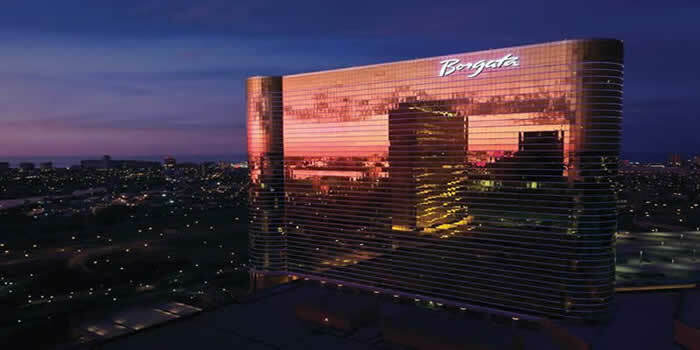 At the moment, sports betting is permitted within the Borgata casino and Monmouth Park, as well as, a few more select race venues and Atlantic City casinos. These venues were able to operate, place, and process sports wagers since June 14. Which means 21-year-old bettors may currently wager on various sporting events at previously named physical casinos and racetracks. Come July 11, remaining state-licensed casinos and racetracks will be enabled via special permit by the NJ Gaming Enforcement Division to offer online and mobile sports wagering. Domestic brick and mortar casinos and racetracks will be asked to allow online gaming entities to operate the sports betting portals for them. There are no carve-outs at the moment for sports betting at off-track venues. New Jersey’s newly legal sports betting offers will surely have some kinks that need to be ironed out. Currently, NJ’s legal sports betting law stipulates that all wagers must be made by individuals either living in or visiting the Garden State as to avoid out of state individuals from accessing the state’s legal online gaming portals. Bettors will be able to freely wager on state-sanctioned betting portals and brick and mortar locations which will be able to offer betting options for Olympic events, professional sporting contests, college sports, international events, and so forth. Betting in New Jersey will only be restricted in the form of domestic betting prohibition over NJ-based collegiate sports events that occur within the state and for events that occur elsewhere. Various betting restrictions apply to individuals attached to sports in any way career-wise, relationship-wise, etc. As online and mobile betting becomes the new standard in the US, online age verification tools will be used to further verify and certify the age of bettors to ensure compliance with state laws concerning underage gambling. Regardless, if young adults attempt to defy NJ’s minimum gambling age, they can simply choose to participate at offshore online casinos which legally accept 18-year-old bettors.